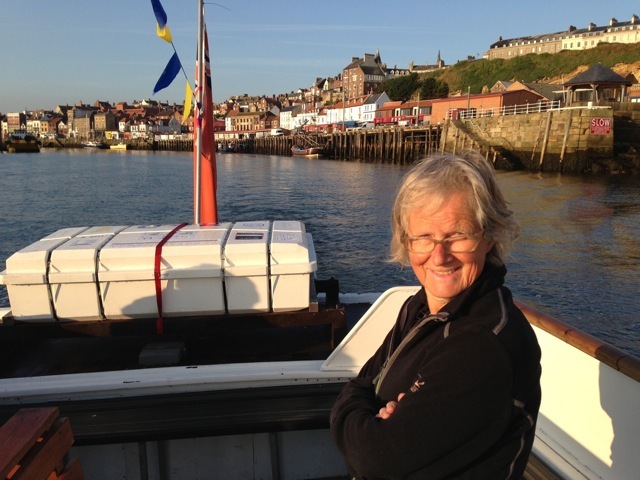 We set off at 7.30 on a September morning from Whitby with Whitby Coastal Cruises, somewhat sceptical of what we might see. A beautiful day, dead calm and bright blue sky - our merry matelot captain said he must have come out on the wrong sea. 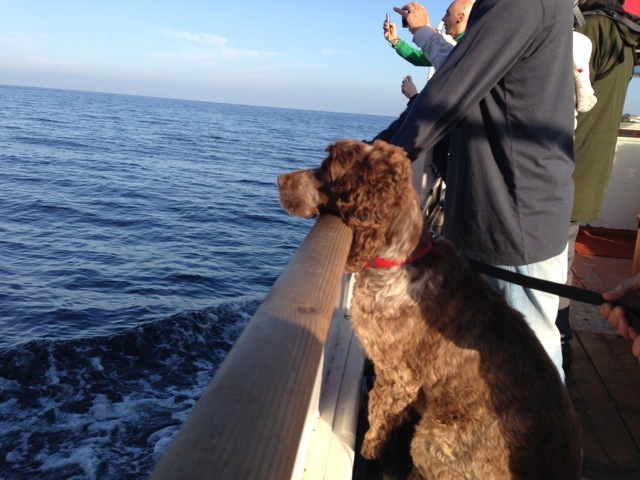 Our skipper got us watching all round, which we dutifully did, and within 30 minutes somewhat spotted a Minke whale surfacing some way off. And then the sighings got closer and closer until they were right by our boat - about 8 metres of large whale puffing away right next to us.. It was all rather amazing - even the captain was up on the roof taking photos and saying he had never had a whale bow-riding like a dolphin. They were surfacing so close that we could smell their breath, and very unpleasant it was too, except to Daisy who suddenly perked up having been bored silly up to then. We went out further and saw some seals, and Kate saw a distant blow of a Sei whale, which Wikipedia tells me is about 20 tons worth. 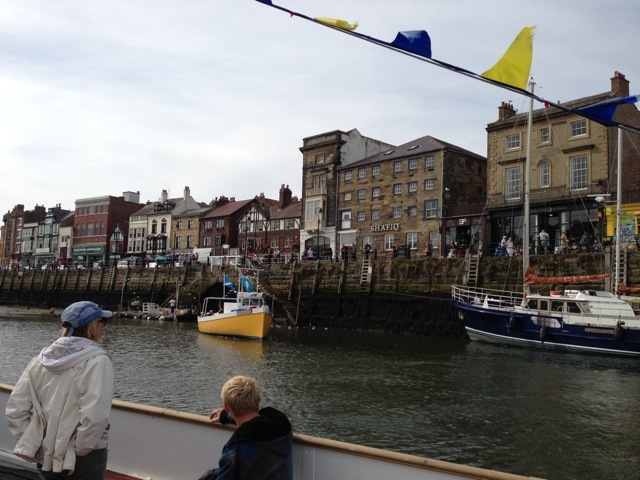 Then we toddled back to Whitby, hardly being able to believe our good fortune - why go to New Zealand or Alaska? !